In Star Plus’ most popular daily Ishqbaaz viewers will get to witness interesting twist as Anika-Omkara-Rudra teams up to expose Chipdi Chudail Ragini. 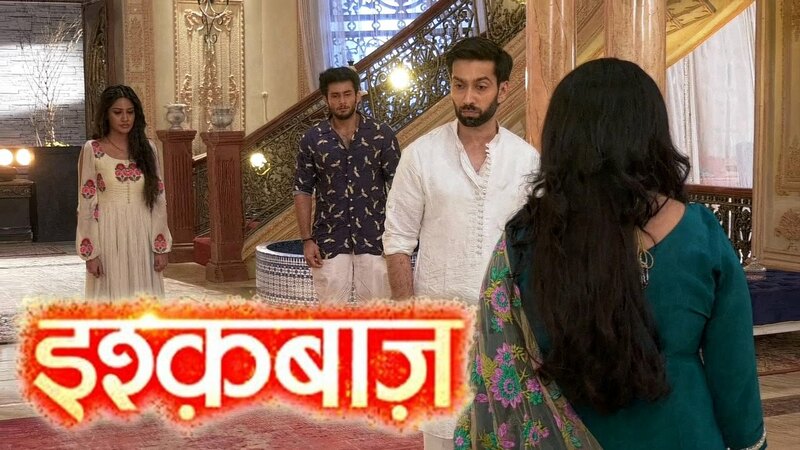 Yes once again trio Anika-Omkara-Rudra that is Bhabhi and Devar track is coming ahead for loyal viewers with the mission explosion of Chipdi Chudail Ragini. So far we have seen that Ragini is leaving no stone unturned to trap Shivaay in Ragini’s mayajaal. Anika can see the whole lot but stupid Shivaay is getting trapped in Ragini’s trap. Anika tries to warn Shivaay but Shivaay badmouths Anika for feeling insecure. Post the MMS scandal drama, Anika will be seen teaming up with Omkara & Rudra to not expose but to explode Ragini with her true colours. Will Dewar and Bhabhi jodi succeed once again as they succeeded uniting Shivaay-Anika during Shivaay-Tia’s case?